Razer is announcing an updated version of its flagship gaming laptop, the Razer Blade Pro, which now features a seventh generation “Kaby Lake” Intel Core i7 processor and faster RAM. It’s also the first gaming laptop with THX Mobile Certification for both video and audio. THX has been certifying audio and video equipment for decades, with an initial focus on cinema, and then branching out to consumer electronics. It was founded in 1983 by George Lucas and sold to Razer in 2016, so it's no surprise that the two are collaborating. 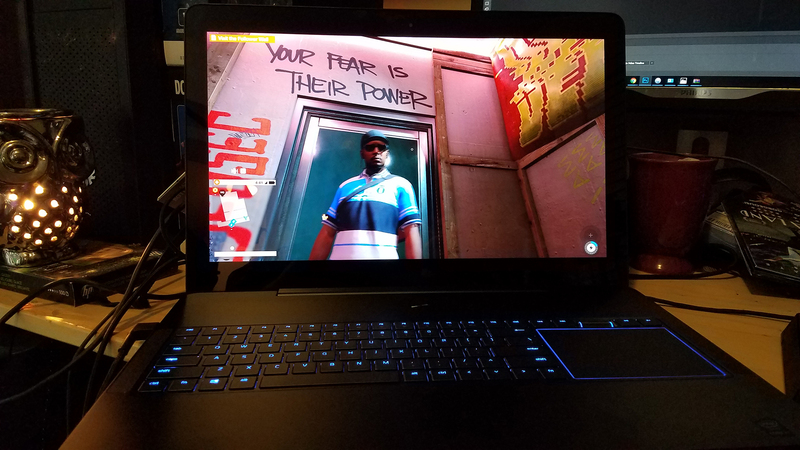 According to Razer, the Blade Pro screen has been calibrated and tested for resolution, color accuracy and video playback performance, while the audio jack was tested for voltage output, frequency response, distortion, signal-to- noise ratio, and crosstalk that guarantees clear sound through headphones. THX tests production models to make sure the actual shipping device matches its spec. Like the previous Blade Pro, the 4K, 17-inch display supports Nvidia's G-Sync technology and is powered by an Nvidia GeForce 1080 GPU. You also get the same low-profile mechanical keyboard, customizable backlit keyboard, a multi-touch touchpad offset to the side and a sub-inch-thick form factor. The new 2017 version of the Razer Blade Pro will be available in April, starting at a whopping $3,999.